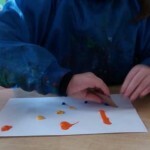 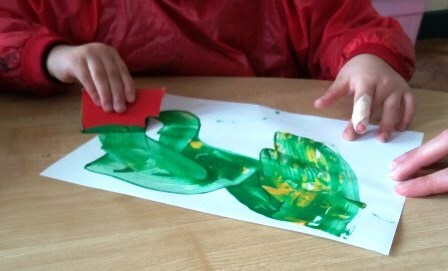 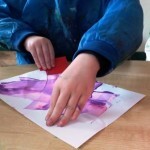 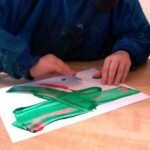 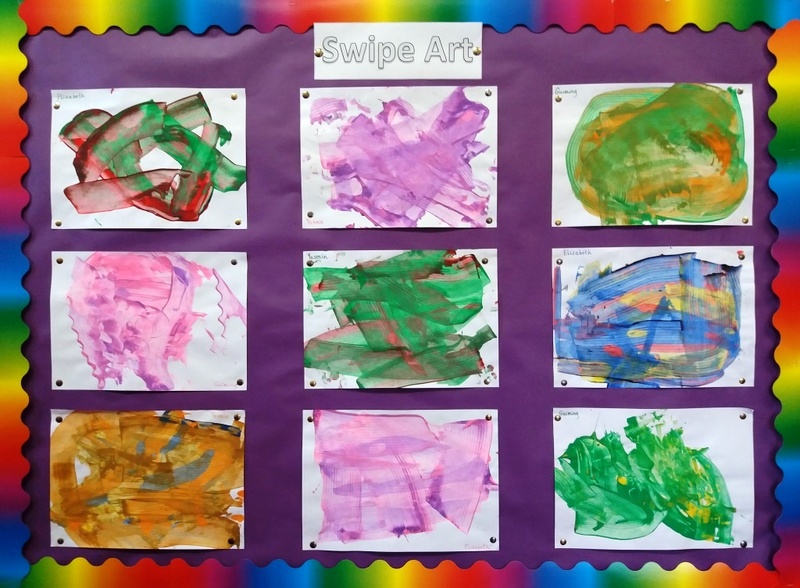 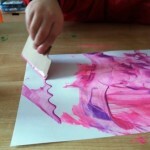 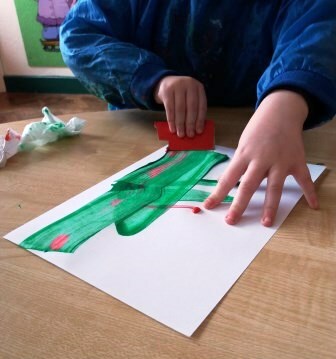 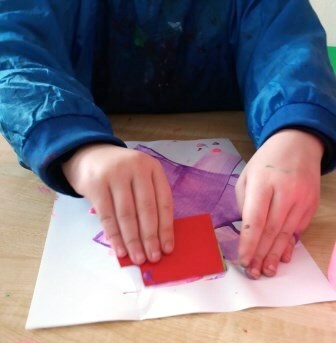 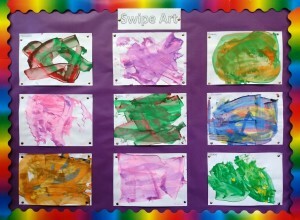 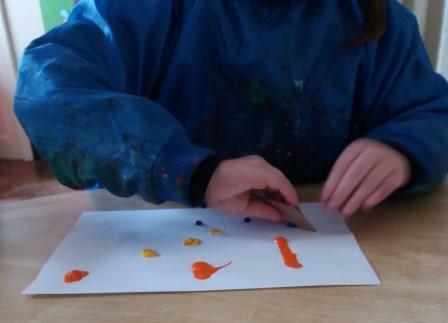 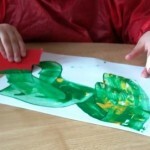 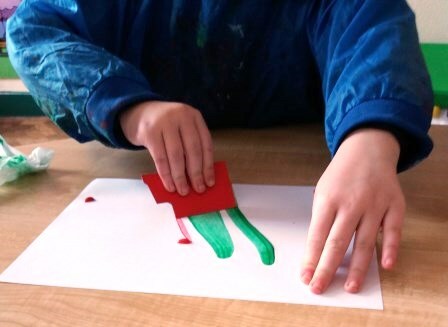 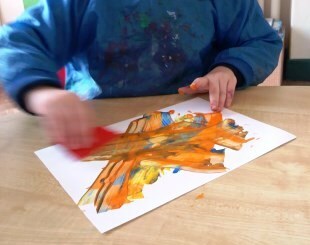 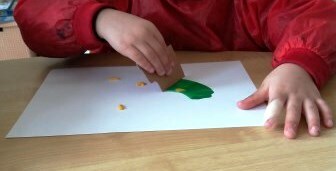 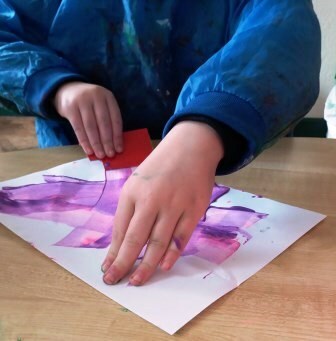 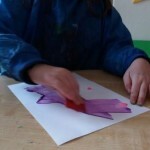 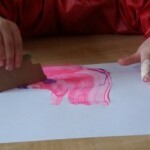 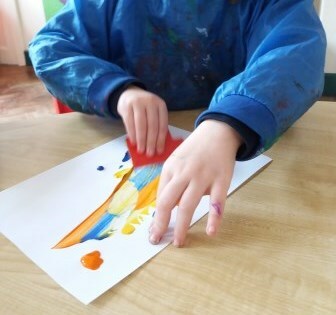 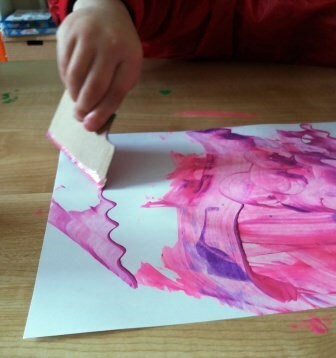 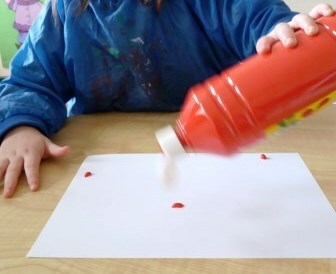 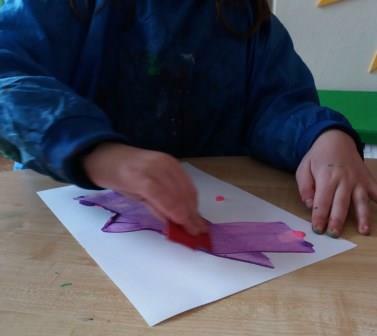 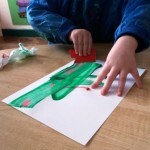 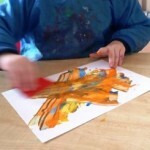 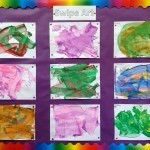 In the Sunshine room we put blobs of paint on paper and then swiped it around with cardboard to create some “swipe” paintings. 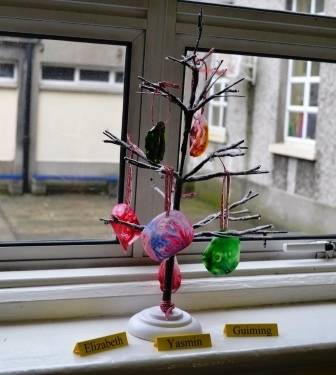 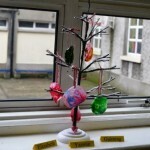 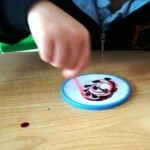 In the Sunshine room we made sun catchers using PVA glue and food colouring. 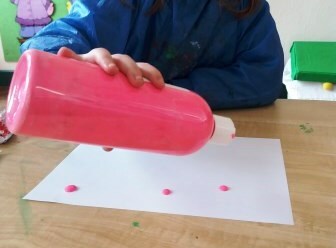 First we covered large plastic lids with PVA glue. 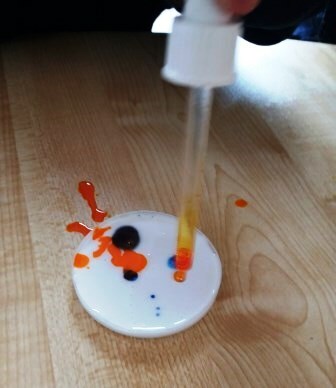 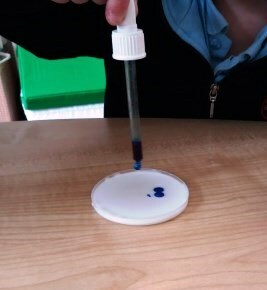 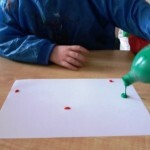 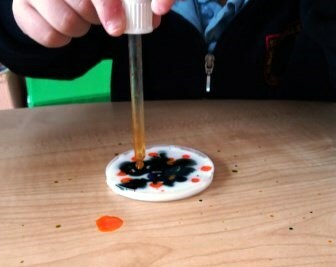 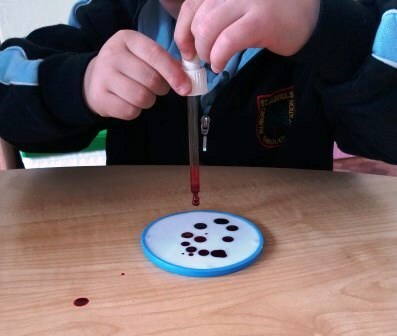 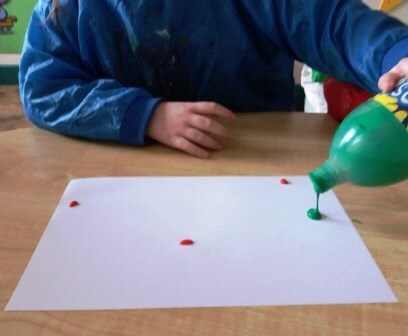 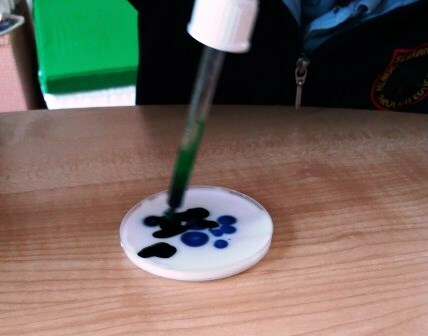 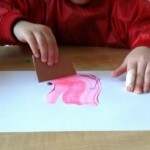 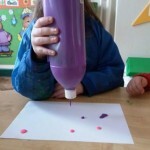 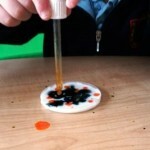 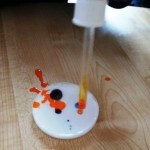 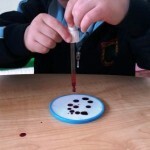 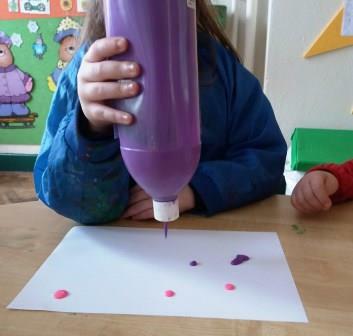 Next we dropped some food colouring onto the glue. 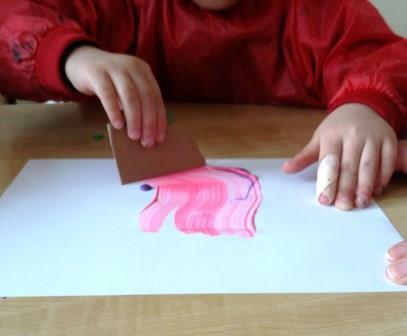 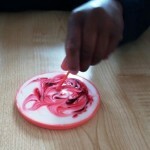 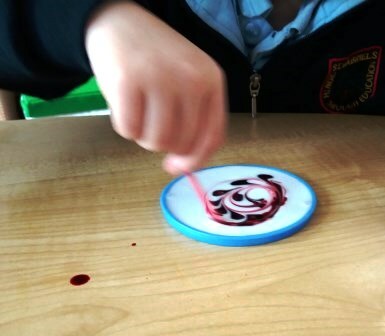 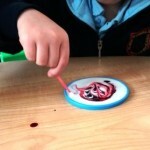 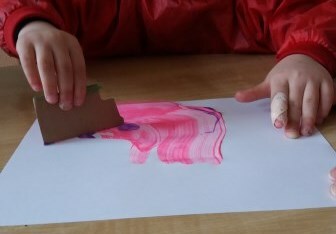 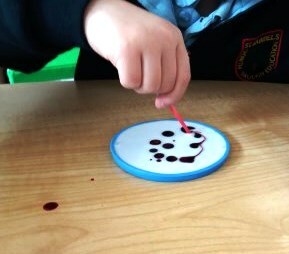 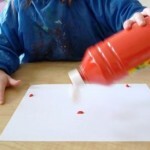 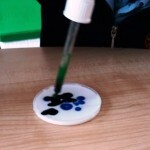 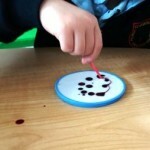 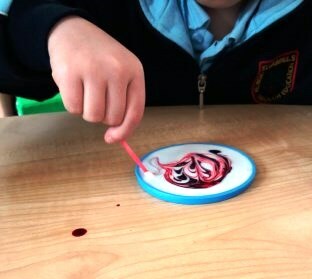 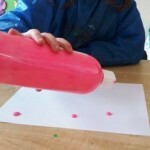 We then used matchsticks to swirl the food colouring around. 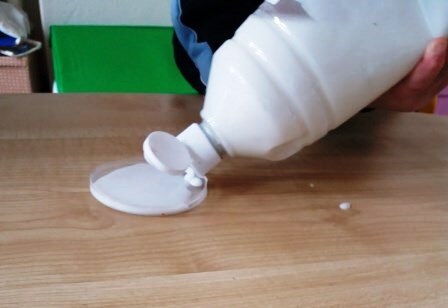 When the glue was dry we peeled it off the lid.